Have a question for Faifo Hotel? This hotel has everything needed to make you feel at home. 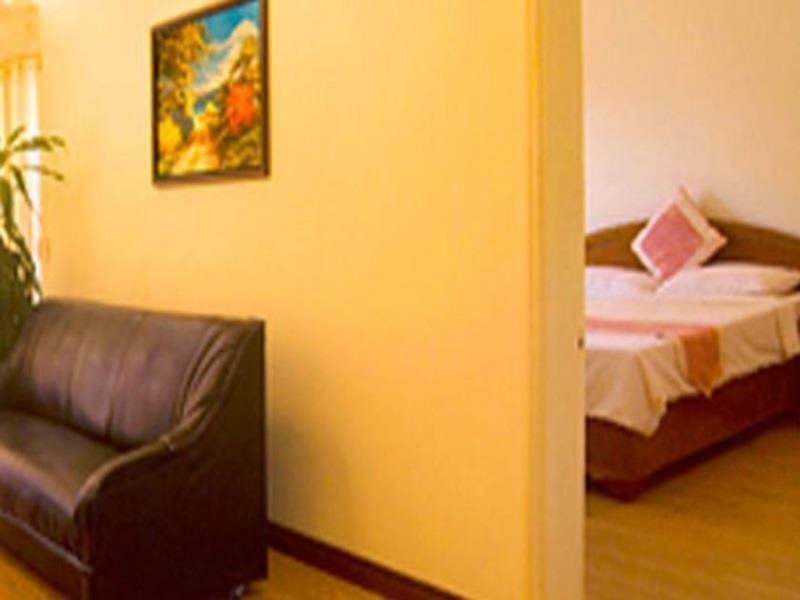 Whether traveling alone or with the family, the Faifo Hotel is a great option. 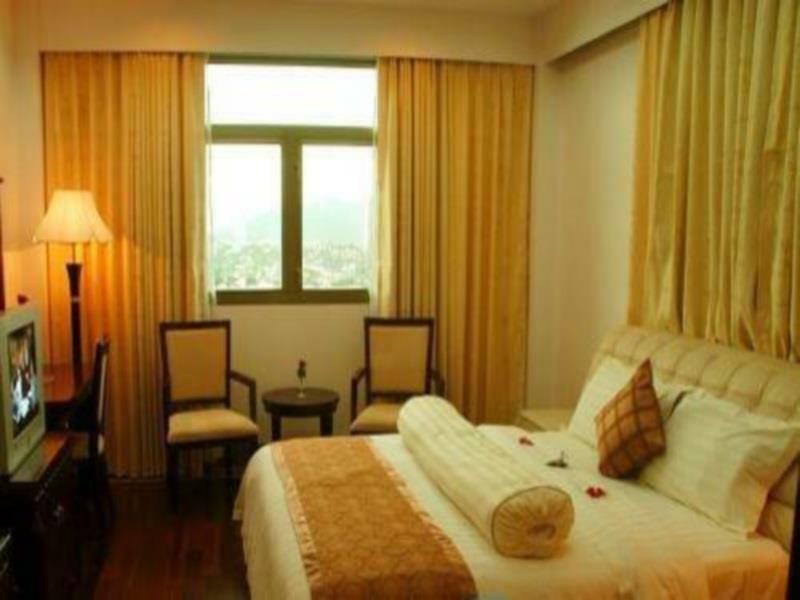 In the very middle of the delightful city of Da Nang, the hotel is extremely convenient to both leisure activities as well as the business district. Anything you want to see or do, make sure to ask the friendly multilingual staff for directions or advice on the best spots. A full business center and conference rooms are provided for professional matters. The tennis court and spa are also available for all guests' enjoyment. A small coffee house is on-site, and a great bar serves delicious cocktails and a great atmosphere. In town for a weekend or a week, the Faifo Hotel makes sure every guest gets the best in service and hospitality. Only stay here if you arrive in be middle of the night by train n want somewhere to crash for a couple of hours. Hotel is run down and stinks of mould! Didn't even shower coz we felt we'd come out dirtier! I booked this hotel to break up a railway journey so it's closeness to the station was a big plus - it is in an adjoining building. That is really where the good points end. The hotel is extremely run down, in fact when I arrived I thought it was derelict and had closed! Everything is dirty and scruffy, there is a camp bed in reception where the poor night receptionist presumably gets to sleep between trains. My room b Was booked as 'superior' and at £18 a night I had the right to expect something simple but clean and tidy for that in the area. It was filthy! The bathroom in particular was really nasty and I'm no clean freak. The taps were caked in years of filth - I didn't even want to touch them. There was a hole in the wall, the bath was rusting away and chunks of rusty metal were lying on the floor. The back of the door was mouldy and there had cockroaches on. The bedroom was quite large but felt very down and out. The carpet and furniture were heavily stained and I didn't look at the mattress on purpose! The sheets didn't seem too clean either. The curtains were torn, the lamp didn't work - it was not just run down it was nasty. Chose not to eat breakfast there - didn't trust he hygiene. There were issues with room and check in - good for train travellers and not too expensive. Don't expect much. Yes, well. This is an incredibly strange place. I needed one night in Da Nang in between trains, so wanted the closest place to the station. I think agoda and Google maps have the location wrong (at the time of writing thus), it really is right next to the station. This hotel gave me everything I needed and more. The place has clearly seen better days. It feels half abandoned. I found an abandoned nightclub on the first floor and wondered around empty floors and up on the roof. Urbex dream. Surreal. There are two green flags that happen to be draped over two of the three stars on the facade, echoing a feeling of decline from former glory. During the afternoon, the zumba place in the courtyard was banging out 'we wish you a merry christmas' so loud that the building rattled in the 35°C April heat, while dancers moved slowly as ghosts 'and a haappy new year'. There's another nightclub at ground floor level that's straight out of Twin Peaks. On a Saturday night well dressed couples slowdance in the dark, to strange music at an uneasy tempo. Primary coloured lights flash pulse and rotate as the singer cries softly and the men sip iced beer. The bedroom was huge, really huge, with two double beds and aircon fixed at a piercing 18°C. Wifi patchy outside the reception area. Breakfast good. Staff helpful. Location perfect. Good price. Worth a stay for a different experience.. It was adequate for the price and the purpose, it had 24 hour check-in which was very useful. Wifi available but had poor reception in room....much better in foyer area. Location . Next to Station. Only stayed 2 nights to recover from 13 hour long journey. Fine for what we wanted. There was a large party of wedding guests also at the hotel and breakfast service was poor. Lots of electric plugs - what a surprise! Enormous room. Bad smokey smell, moved to another room, almost as bad. That seems to be the norm in this country. Why can't some rooms be reserved for non smokers?? First room no airconditon working, dirty sheets Second room dirty sheets. Third room dirty sheets Fourth room ok, but bad smell and overall badlooking Poor breakfast. Never again. All rooms bathroom was nat as i want it , filthy etc. The positiv was i could get away qickly at morning and getting a trainticket as the railwaystation are next to the hotel. Stayed here while waiting for 'midnight' train to Hanoi. It is literally a stone's throw from the train station. Put my bags in the room,freshened up etc. very pleased..
Close to Rail Station, friendly reception and very good restaurant. Hotel a bit dated at this stage but a friendly and helpful service makes up for it. Nearby have nothing much to see or eating.If you need to catch the train,best Location to stay. Booked this hotel due to the location close to the station. But considering the price we we paid in comparison to other hotels this hotel was a disappointment. The whole of the first floor had a wet, musty smell (I have read this might be common in older hotels due to plumbing), the room had the smell covered up with a sweet cinnamon smell, but there was no mistaking the signs of rust and damp on fixtures in the bathroom. Also the fridge did not work. But on the positive it had clean bedding and a small sitting/lounge area. But despite being next to the station and on a busy road it was quiet. Was not impressed on arrival, room was large but long overdue a redoe. The morning was like we had moved to a another hotel. The "old dump" turned into an old grand hotel with a bright and chearful dining area. This Hotel is next to the Rail Staition. english and french speaking staffs. near danang train station, good for those who travel by train and make a short stop at danang for hoian. target business guests.